Let me read your short story or full-length novel! I’m addicted to reading. When I flip the last page of whatever I’m currently reading, I go into a mini panic, looking for to fill the sudden void. So in an effort to save money and stop making the bookstore rich, I’ve turned to reviewing books. As a writer myself, I know how important beta readers and reviewers are to the writing process. Outside perspective is key to finding possible holes in a plot, or to point out issues with writing and clarity, among other things. What makes me different than other reviewers? Objectivity … true objectivity. As I state in my post: Writers, If You Beta Read, Read Before You Comment, you’ll learn just how important it is to me to be open-minded when reading any book. I believe in letting the writer take me on the journey they have written. When I sit down to read your story, I will put on my reader’s cap and later write you a review from a reader’s perspective, not a writer’s perspective. Meaning I will review your work based on if it is enjoyable or not, believable or not; not based on if you write as well as King, Hemingway, or Harper Lee. Adult Sci-fi, Romance, Suspense/Thriller, Historical Fiction and Mystery including sub-genres. This is dependent on the length of your work. I believe in reading each book thoroughly and writing a thoughtful review. That being said, short novels (up to 30,000 words) can take me one week to complete. A full length novel (up to 130,000 words) can take one month. Optional personalized phone call with review and critique. 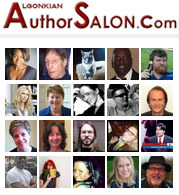 I know writers love to talk about their books and have questions answered. A personalize phone call or Skype call is best for this. If you’d like me to review your work, please visit my Fiverr page. You can also contact me if you have any questions.